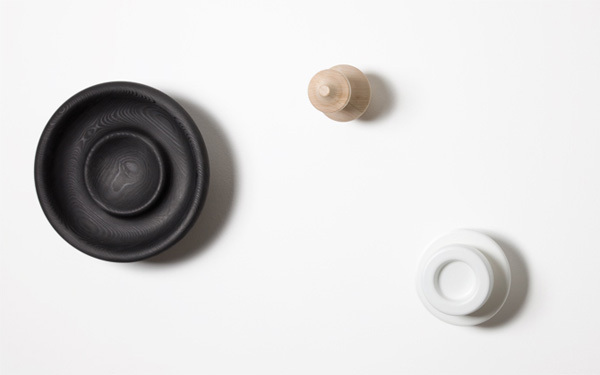 Wall hooks are not just functional anymore. There are many different appealing and creative designs that will also function as wall decor. 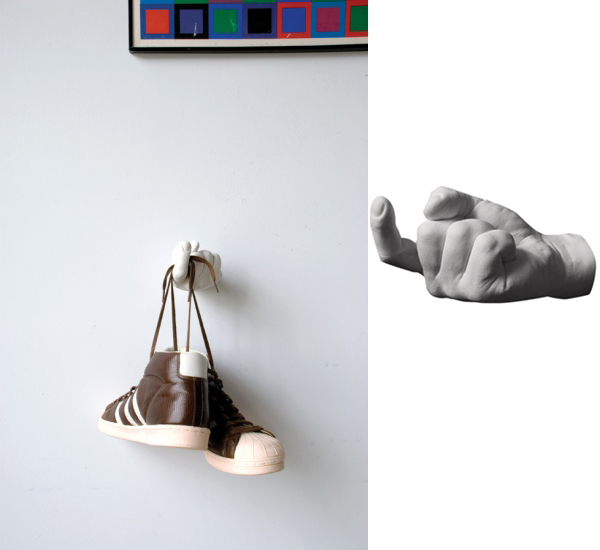 We picked ten fun and creative wall hooks that can enhance hallways of different styles. ‘Thomas’, ‘Edison’ and ‘Alva’ are the three sculptures designed by llot lov and inspired by high voltage insulators can be used as wall decor especially when all grouped together as well as the wall hooks for hanging clothes. They not only vary in form and size but also in color. Their shapes create interesting dynamic on the wall while the different colors attract attention to each one of them. 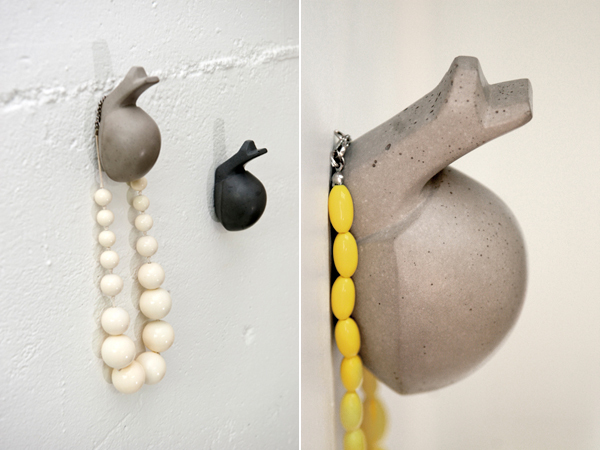 As evident from the name the Snail hook designed by Ingibjörg Hanna is a fun snail-shaped hook made out of concrete. The wall hooks have never been cuter. The Snail hook comes in gray and black colors and cost $71.00 per hook. 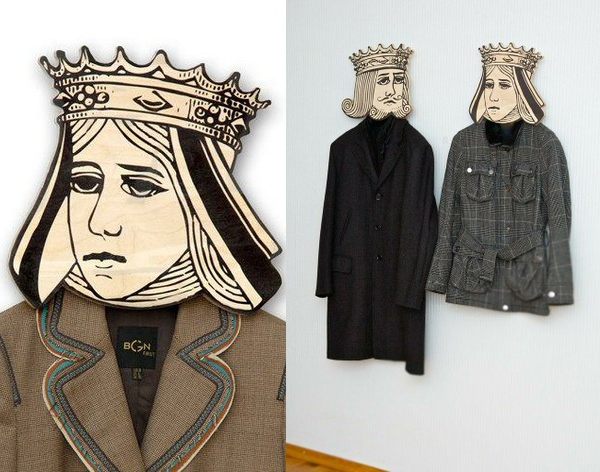 Queen Hook by Design Atelier Article is a cool wall hook shaped as a head of a playing card Queen made of birch plywood. The actual hook though is hidden behind this likeness of a card Queen and there is also a King version. Hookaboo Wall Hook by designer Matt Carr is a space-saving sleek wall hook comprised of bamboo stave and retractable metallic hooks. The Eight-Arms Hook from Anthropologie is both fun and decorative. It looks great on the wall and has multiple tentacles that mimic the hooks. 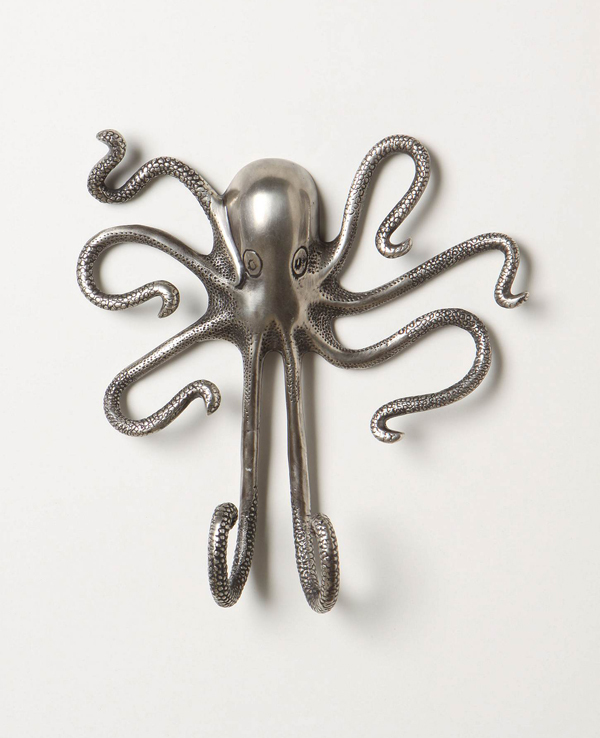 Made of aluminum this sea creature is a sure way to add nautical touch to the decor. 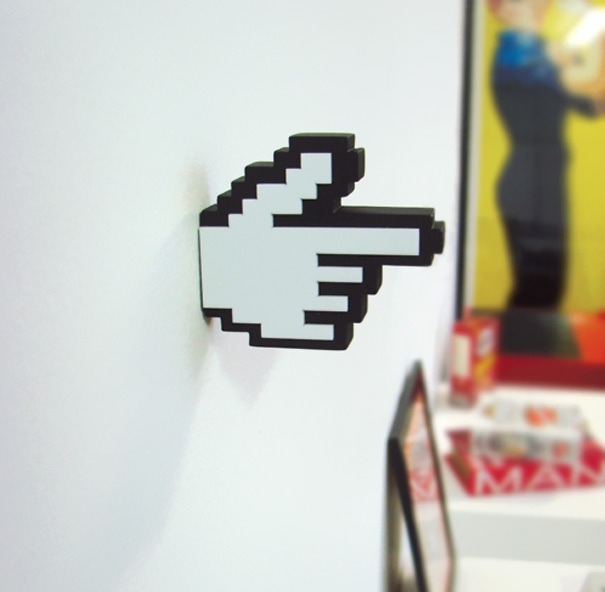 8-Bit Hanger from Meninos is shaped as an eight-bit mouse cursor when it transforms into a hand pointing with its index finger. Currently sold out $39.90 hook surely makes for an eye catchy accessory for a hallway. Cmere Hand Hook by Harry Allen is fun, fun, fun. Made entirely out of resin Cmere Hand Hook is a cast of designer’s hand. 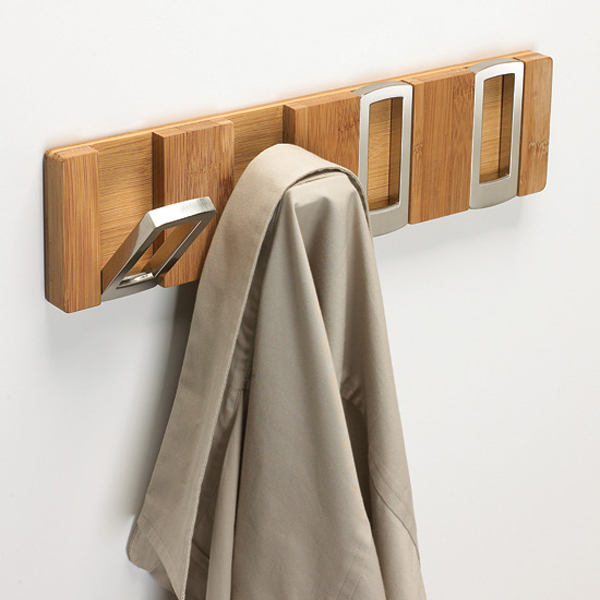 A wall-mounted hook can be used to hang coats, keys and other accessories. 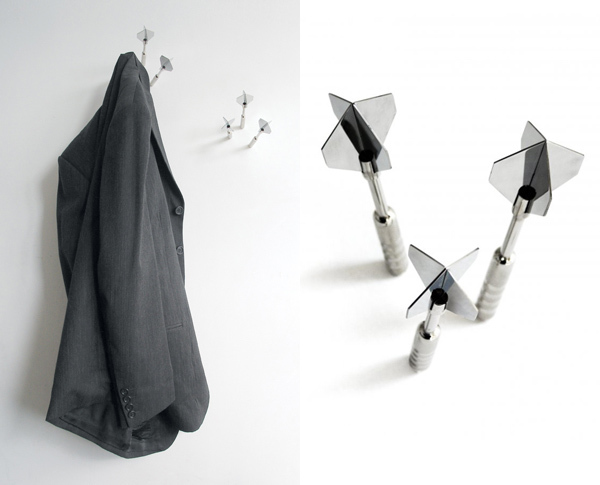 Dart Coat Hooks by Anthony Chrisp come in a set of three and are shaped as darts that were entirely driven into the wall. Monsieur Dress Up hook by Anna Thomas is a creative line of collar-, cuff-, and pocket-shaped wall hooks designed for scarves, bags and other clothing elements. Made of bent maple these pretty wall hooks can make for a half a shirt decorating your hallway wall. 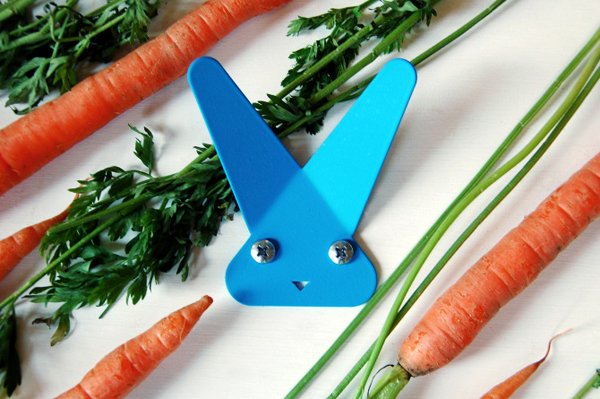 Frank is a fun and playful wall hook designed by David Barry. Shaped as bunny Frank comes in a variety of colors.